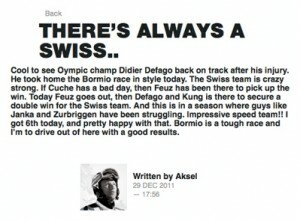 Few but important words emerge from the website of Didier Defago, the winner of the men’s DH that took place in Bormio on December 29, 2011. “Ton travail a payé, bravo Didier.” The “travail” is the hard work that brought Didier to the complete recovery after the injury that caused the tearing of the ligaments in his left knee, forcing Defago to withdraw from the 2010/2011 races. 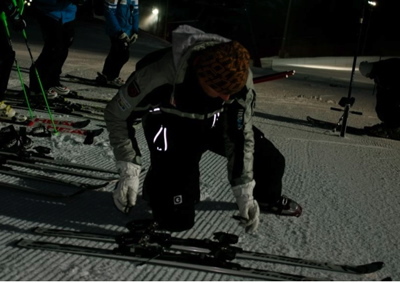 In one of the photos of our galley, Defago touches his knee while in the finish area. Later, during the press conference, the Swiss champion explained it was a sign of gratitude full of meaning. 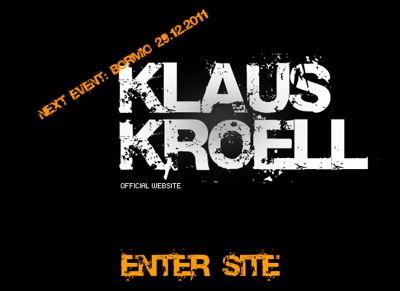 Klaus Kroell is not 100% satisfied with his performance, despite being on the podium too. 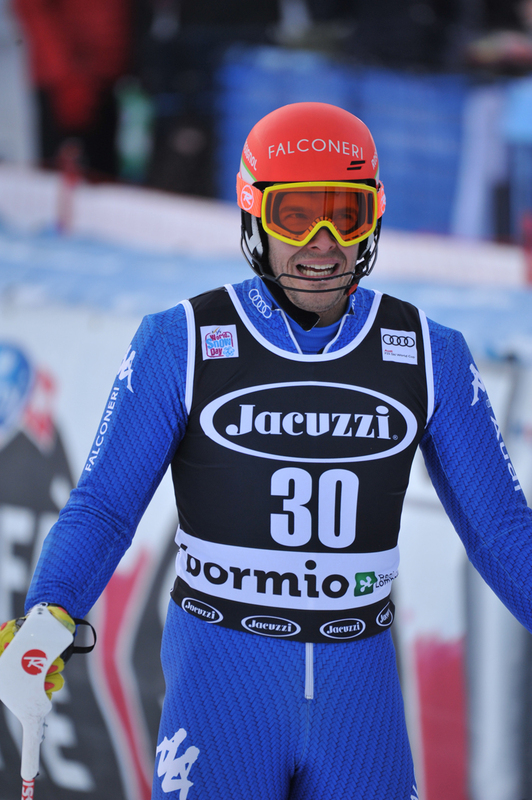 His official website reports that the Austrian racer said that he hadn’t come to Bormio for a third place, he wanted to win. 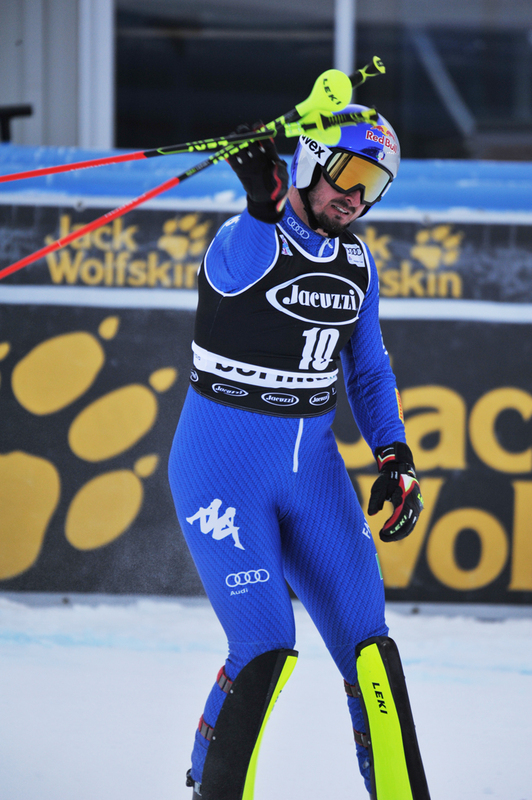 During the race Kroell lost a stick and according to his point of view, it was an unforgivable mistake that caused other imperfections while racing. 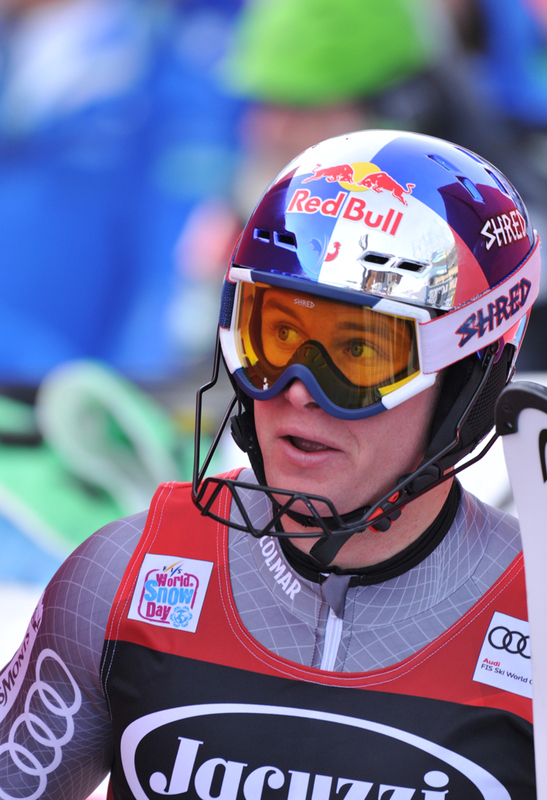 Erik Guay‘s fourth place is the best placement of the season for the Canadian champion. Only 22 centiseconds and he would have been on the podium! 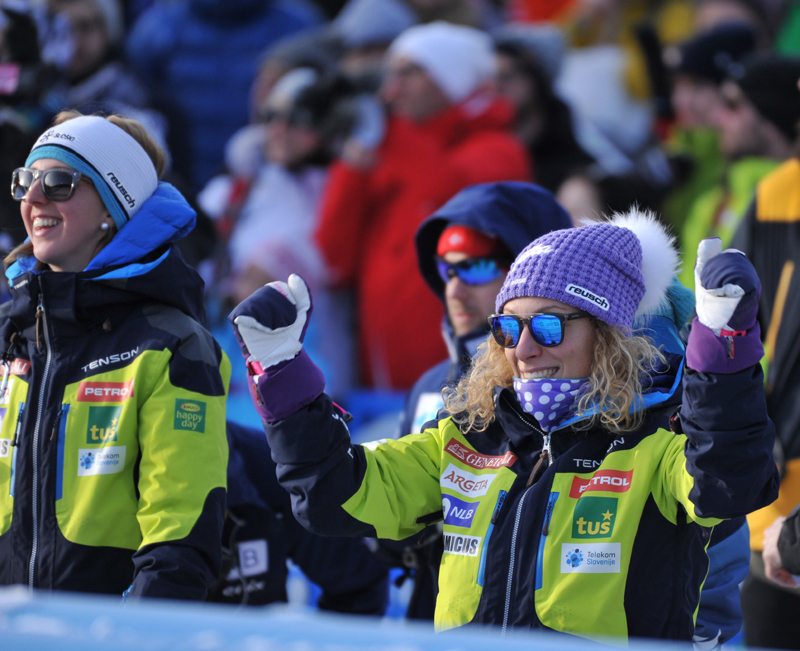 Guay writes that despite the frustration, he and his team are very happy with the progresses so far. Now that the problems with his back have been solved, Guay has come back in great shape and he faster that ever! 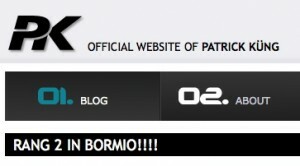 Only a few words about the Bormio experience from the website of Beat Feuz, red bib on his debut on the Stelvio. 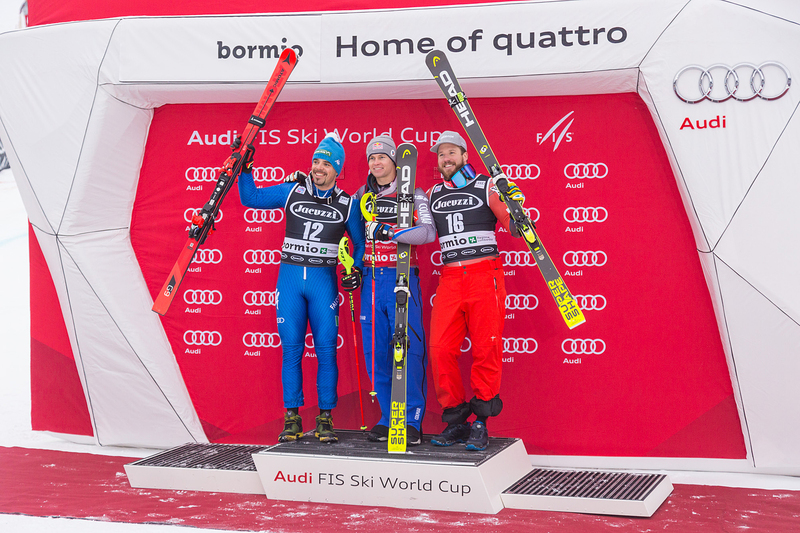 The Swiss fell for the first time in this season, fortunately without consequences. 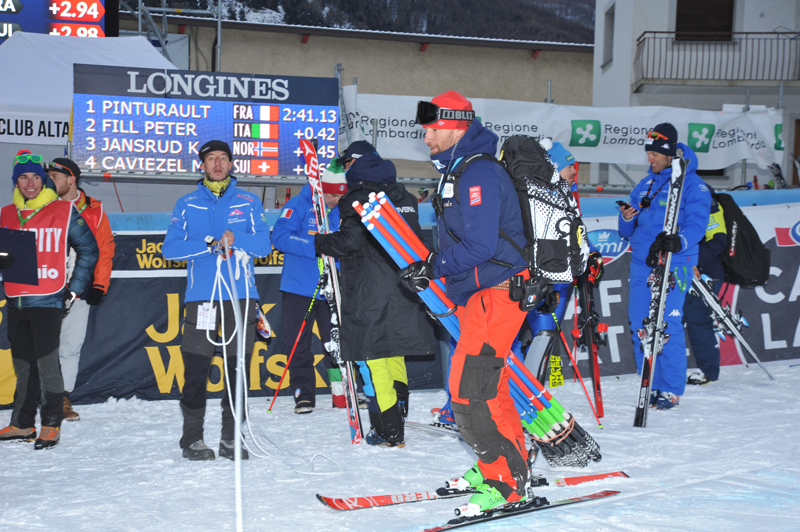 In his blog Ambrosi Hoffmann writes that he’s not happy with his 26th place, especially considering the progressive improvements, attention and concentration he demonstrated during the training races. They made him hope! The Swiss aimed to be faster during the race and now he says he will work and train even harder. 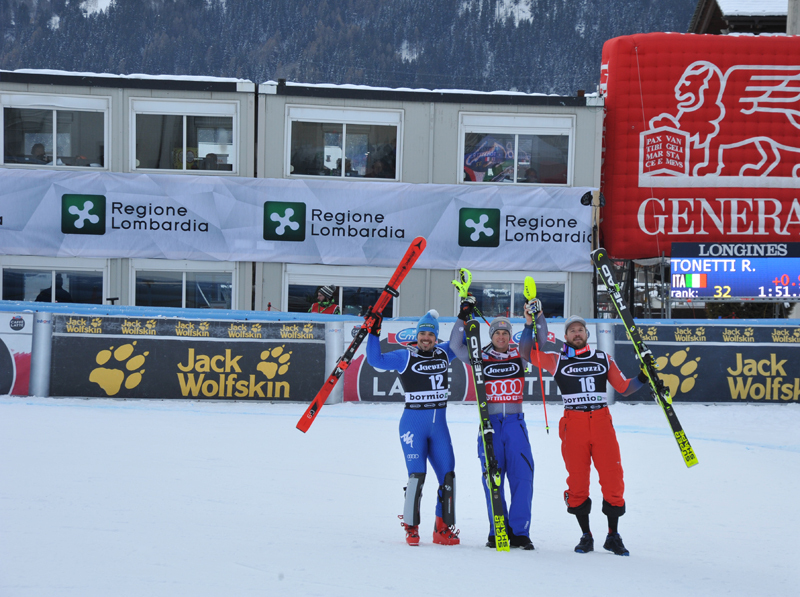 The short post on Svindal’s blog is almost 100% dedicated to the Swiss team. 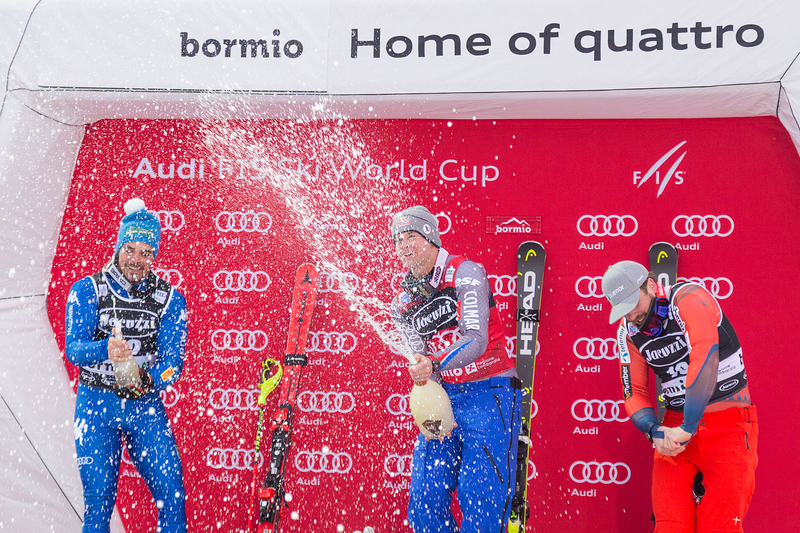 The nice Norwegian champion congratulates with the Swiss racers for the good time they are experiencing in DH and SG races; Defago, and Kueng are on the podium and Feuz has started an awesome season, despite the fall in Bormio! 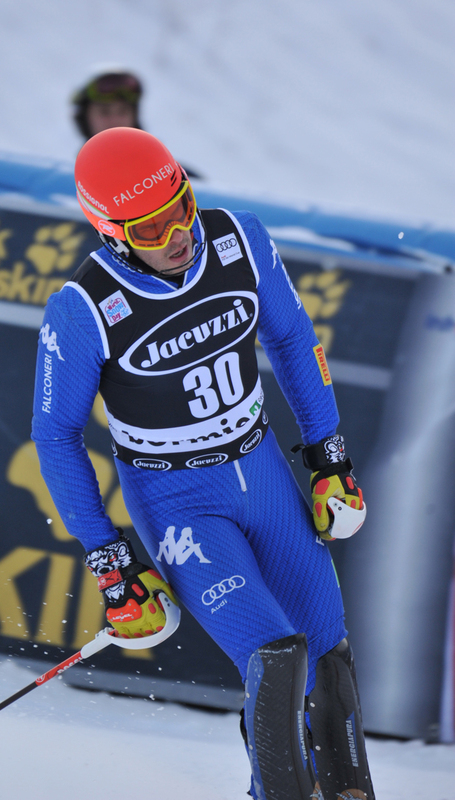 Aksel Lund Svindal is happy with his sixth place because he knows how difficult the Stelvio can be. 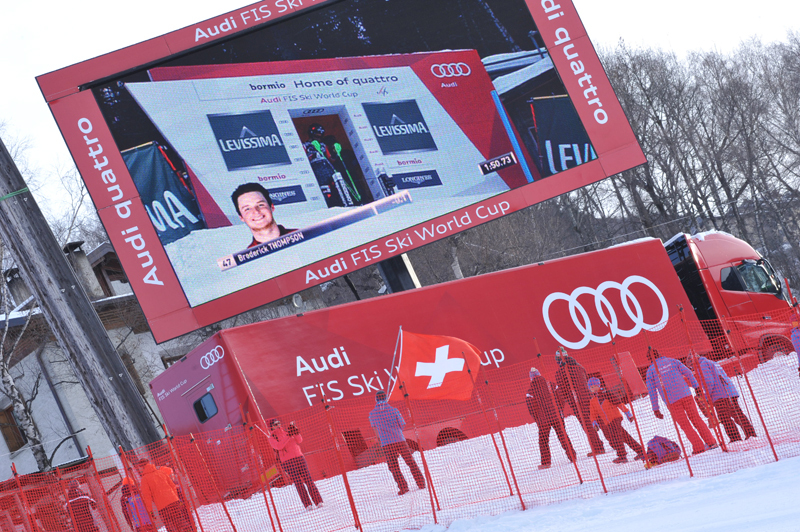 Georg Streitberger is disappointed and tells us that there’s no feeling with the Stelvio yet. Hans Olsson is angry and disappointed too. In his post “in control = is too slow” the Swede tells what he thinks of his race and training races. 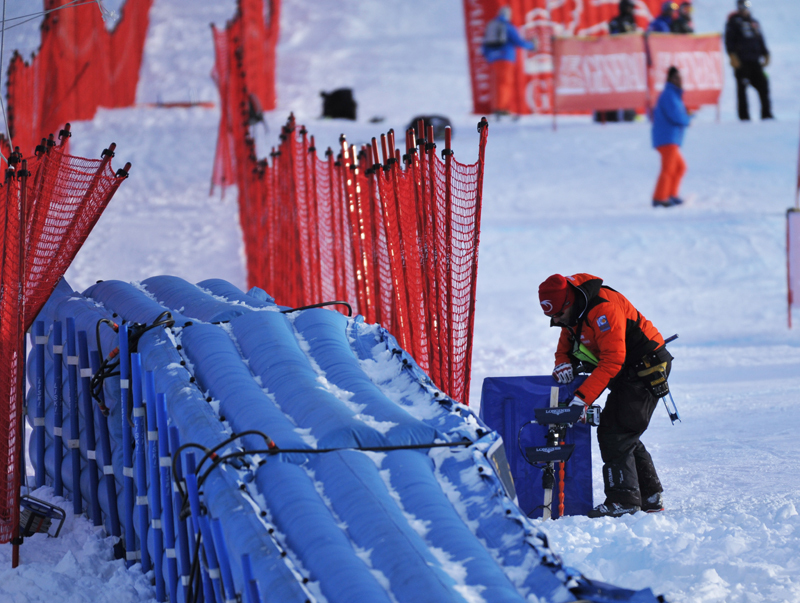 After attacking the first gates with determination, Olsson always found many difficulties on his way to the finish line, where he always arrived exhausted. 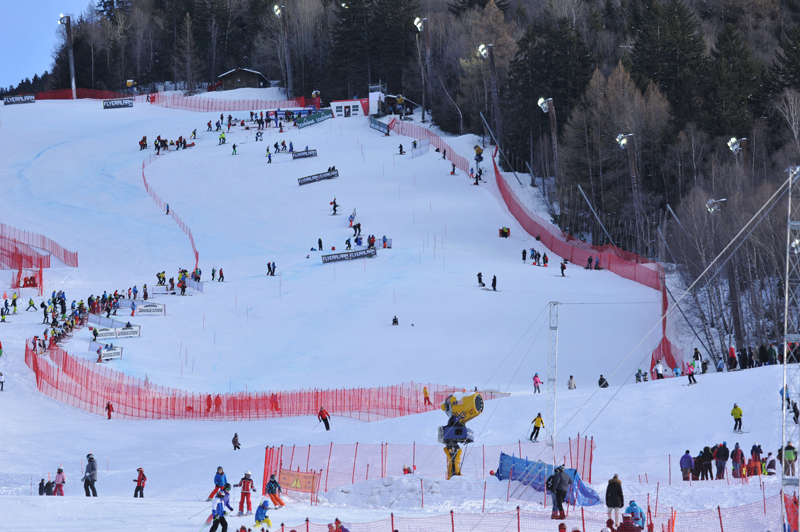 Olsson believes he paid too much attention to finding the perfect line instead of being fast, the most important thing! Let’s close our post with Travis Ganong’s blog. 30th place for the American racer on the Stelvio; he earned precious points on the course he considers as one of the toughest of the circuit. He also shares one of our videos, the “bumpy” Stelvio seen from the point of view of Andrea Ravelli, one of the forerunners who arrived to the finish line with a camera applied on his knee. Plus the “initiation” of some of the members of the U.S. team continues too. What are we talking about? Take a look at Ganong’s blog and you’ll understand!